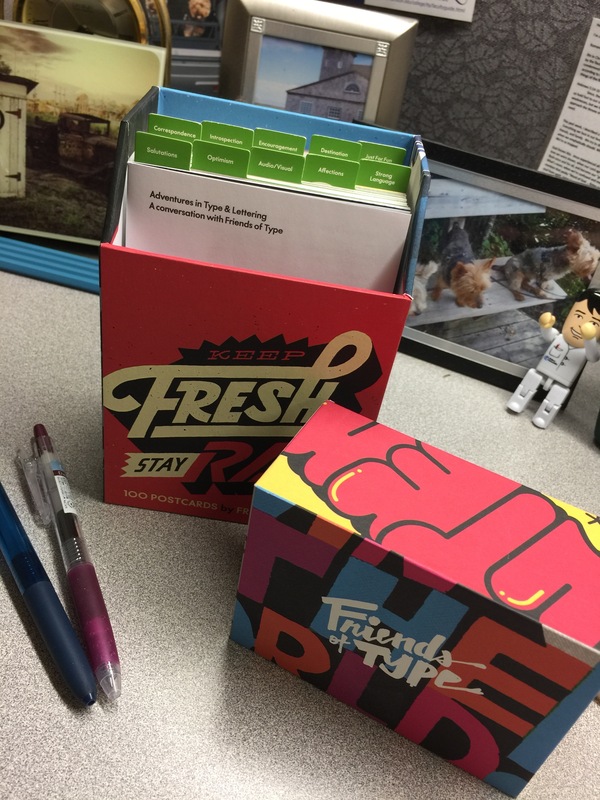 I’ve had this Friends of Type Keep Fresh Stay Rad giant box o’ postcards for awhile, and have slowly been using them to send quick notes to friends and family when there isn’t time for a full-blown letter. (I tend to make a federal case out of letter-writing, something I plan to work on and improve in 2017. A quick letter is better than NO letter, right?!) 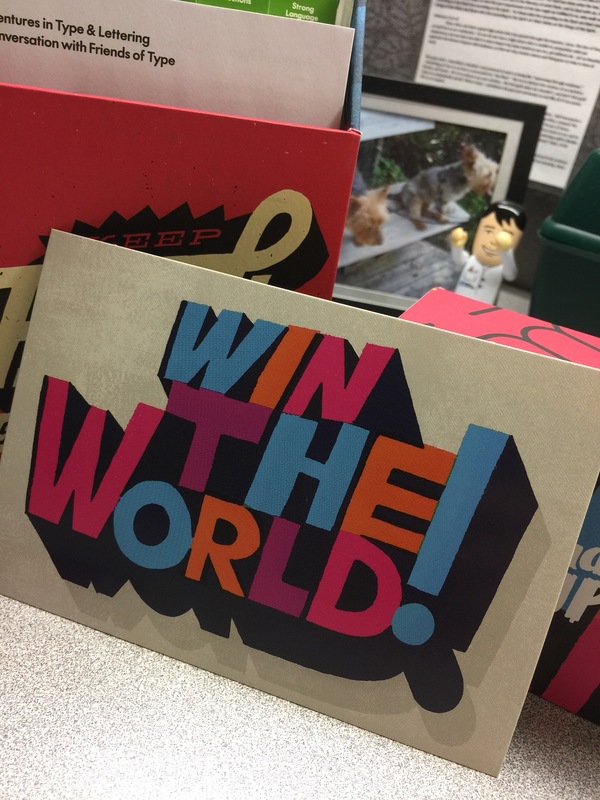 Even though I am using these postcards, it became apparent that it’d take me awhile to go through the whole box, and I’m trying to get better about using things up. That issue was in my head when I read this article. (Go read it…it’s inspiring.) Too many postcards + the Seattle woman giving away postcards = my solution. I work at a college in upstate New York, managing the stockroom in the college’s Science Center. The stockroom has what I call “the pizza window” because it looks like a window that you’d walk up to to order pizza or ice cream or burgers. Students regularly come to the window, not for pizza but for chemicals and lab supplies—the perfect venue for offering free stamped postcards. 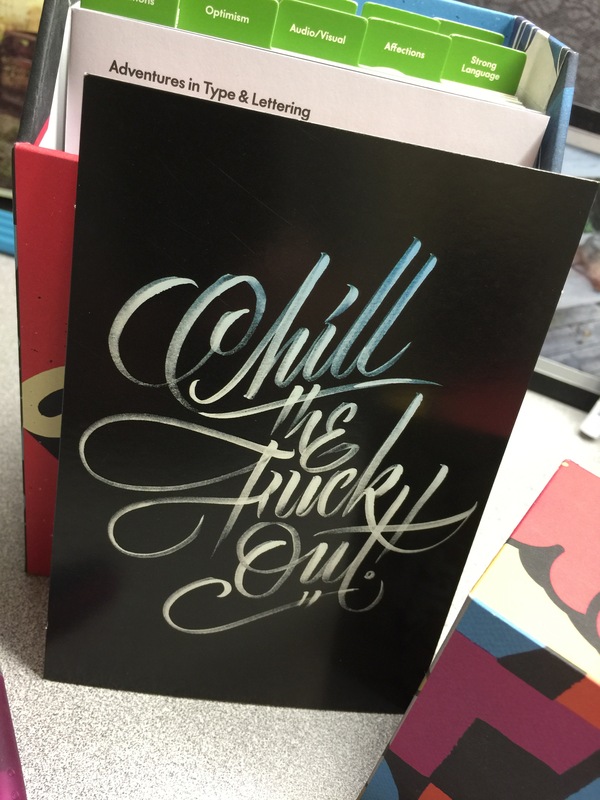 Some are artfully profane, but a good reminder during stressful times, like final exams. The students have been amused by the giveaway, and have politely asked, “Can I really take these?” Yes…absolutely! “That’s so cool!” they say as they smile and slide a carefully selected postcard into their lab coat pocket. 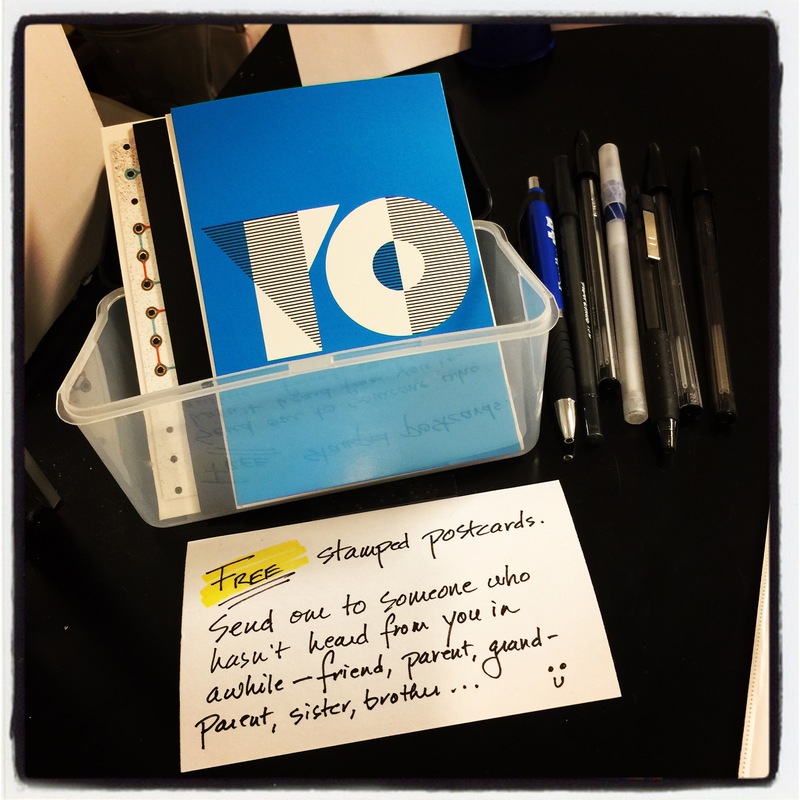 I like picturing the surprised recipients who probably don’t get much handwritten mail from their BUSY child/grandchild/sibling/friend. It really doesn’t take much time to lift someone’s day. A couple of minutes. A few words. A happy recipient. 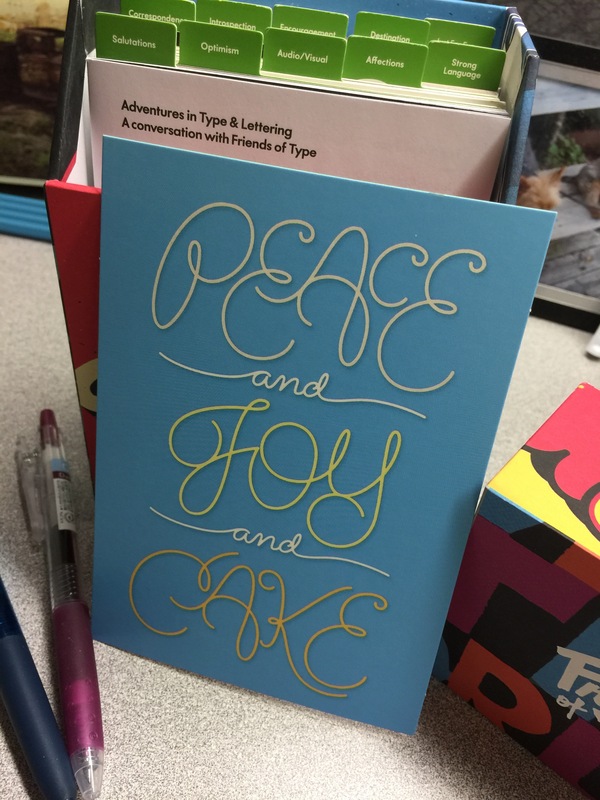 Here’s to peace and joy (and cake) in the new year! Let’s stay in touch.